On Friday, Arizona Senator John McCain, who delivered the final blow to the previous attempt to repeal and replace Obamacare, said he will vote no against his party’s current healthcare plan. 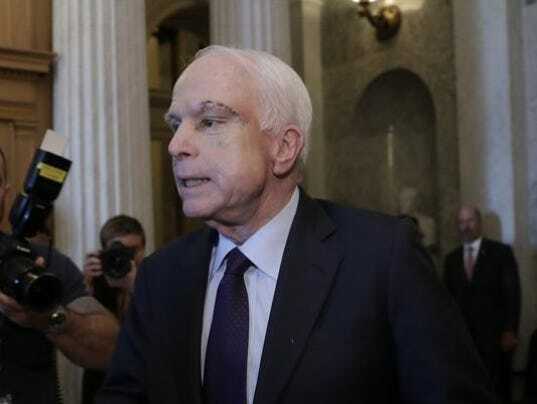 PHOENIX — Sen. John McCain gave new insight into his grim struggle with an aggressive form of brain cancer in an interview that aired Sunday on CBS’s 60 Minutes. “I am more energetic, and more engaged, as a result of this because I know that I’ve got to do everything I can to serve this country while I can,” said McCain, the chairman of the influential Senate Armed Services Committee and the 2008 Republican presidential nominee. Since the diagnosis, McCain on July 28 voted to kill the GOP’s “skinny repeal” legislation, part of Republican efforts to repeal and replace the Affordable Care Act, or “Obamacare.” On Friday, McCain announced that he also intends to vote against the latest GOP health-care bill authored by Sens. Lindsey Graham of South Carolina and Bill Cassidy of Louisiana. In the TV interview, McCain said that Trump still has never apologized to him for ridiculing in 2015 McCain’s P.O.W. experience. But McCain said he has moved on and that none of his votes are intended to get back at Trump for the insult. McCain’s father and grandfather were U.S. Navy admirals. “And I said, ‘Hey, today is Friday. I’ll just come in on Monday.’ And she said, ‘No, you have to come now. It’s very serious,'” McCain recalled. McCain was asked whether he has felt “panic” since the diagnosis. He said he had not.